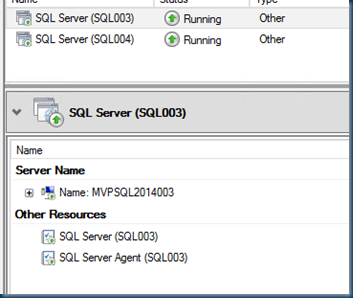 I created an unattended installation of a SQL server 2014 cluster but one of the new features is that you can also use CSV. 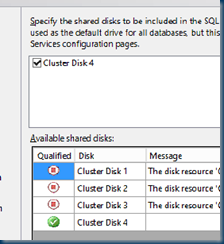 A new feature in SQL Server 2014 is that you can now use a Cluster Shared Volume (CSV) in addition to the other methods you already could use for database and backup storage (drive letter, mount point, SMB share, local tempdb – the last two were introduced in SQL Server 2012). The big benefit here is that if one node of the SQL Server cluster loses connectivity to the storage, it can still read and write data over the network to a different node’s SAN connection. 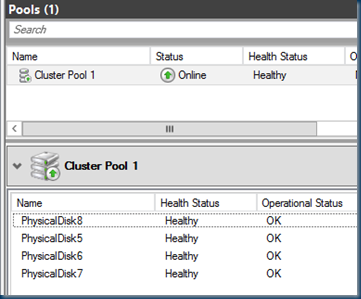 If you are using Ini files just replacing the value in the ini file with the cluster storage volume or storage pool. 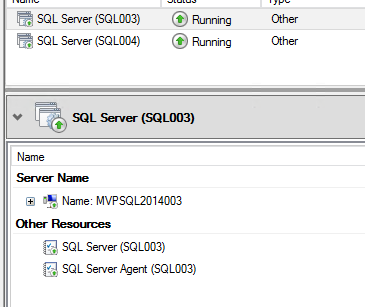 In the next setup that is based on clusters I have two CSV volumes one is a normal CSV and one is a storage pool CSV. Storage pools give you extra redundancy and if used by a scale out file server more IOPS or at least better iops than when you use only one server. 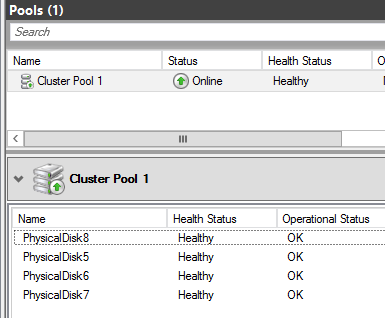 As you can see no disk in the Cluster Resource if you are using CSV! What is a CSV ? Well, it’s a way to configure a single shared disk that is presented to and can be used by all nodes of a Windows Server failover cluster.CSVs have been used with Hyper-V and virtual machines (VMs) in windows server 2008/2012. The big benefit here is that if one node of the SQL Server cluster loses connectivity to the storage, it can still read and write data over the network to a different node’s SAN connection. Increased compute scale – Continue to benefit from scale for up to 640 logical processors and 4TB of memory in a physical environment and up to 64 virtual processors and 1TB of memory per VM. Network virtualization and NIC teaming – Abstracts networking layer so you can easily migrate SQL Server from one datacenter to another. Increase network throughput for your mission critical SQL Server workloads by allowing those workloads to access more than one network card. Storage virtualization with storage spaces – Create pools of storage and storage tiers allowing your hot data to access the premium storage and cold data to access standard storage improving resilience, performance and predictability. 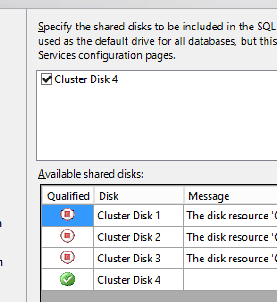 SQL Server 2014 is that you can now use a Cluster Shared Volume (CSV) in addition to the other methods you already could use for database and backup storage (drive letter, mount point, SMB share, local tempdb – the last two were introduced in SQL Server 2012). The big benefit here is that if one node of the SQL Server cluster loses connectivity to the storage, it can still read and write data over the network to a different node’s SAN connection. More about this in my next blogs.